ChildAge: 3-12 years. Children 2 and under are free. 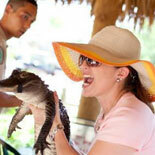 The Everglades Tour offers excitement and unique fun for the entire family. See wildlife you've never seen before, come face to face with local inhabitants, see snakes of all sizes, see how to wrestle a large alligator at the Gator Park Wildlife Show and much, much more. Zoo Miami: Enjoy more than 3,000 animals and 1,200 plants and trees which are planted in such a way as to mimic the animals and natural habitats. At Zoo Miami you can travel the world in one day and immerse yourself in one of the most exciting adventures you will experience. Sawgrass Recreation Park: Feel the excitement and learn the history of Florida's most remarkable treasure--the Everglades. As one of the rare subtropical ecosystems, the Everglades holds spectacular mysteries. Renew your spirit as you glide across miles of river at speeds up to 35 mph, and get up close to native wildlife, many of whom are endangered in this fragile environment. Weekdays from 10 am - 5 pm and weekends from 9:30 am - 5:30 pm. Thanksgiving Day from 9:30 am - 3:30 pm (ticket booths close at 2 pm); Christmas Day from 12 pm - 5:30 pm (ticket booths close at 4 pm). 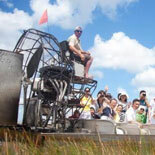 The first airboat tour of the day leaves just after 9:00 am. The tours operate every 30 minutes until 3:30 pm. The final airboat leaves at 5:00 pm. Sawgrass Recreation Park: Exchange your eTickets at the White Store in Sawgrass Recreation Park located at 1006 N. U.S. Highway 27, Weston, FL 33327. 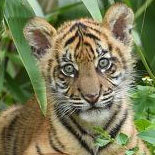 Zoo Miami: Adults- (ages 13+); Children- (ages 3-12); Children 2 and under are free. 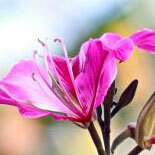 Sawgrass Recreation Park: Age 4-12 years. Children 3 and under are Free.